Ensure appropriate K-wires, plate and screws are available. Bier block / regional block. 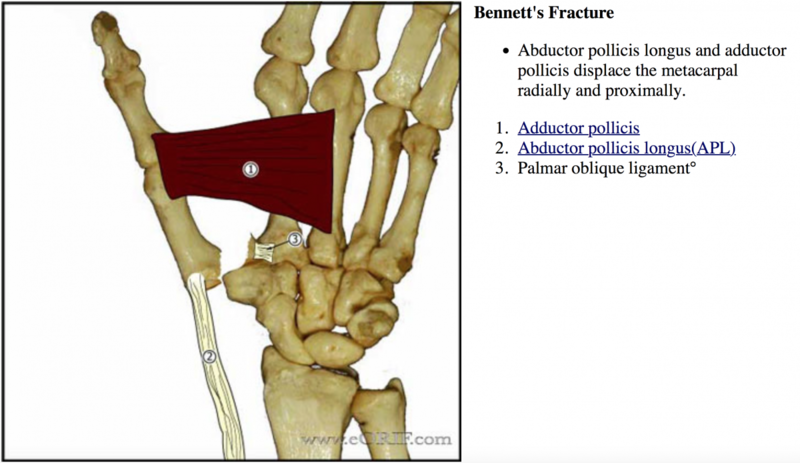 For < 20% of the articular surface involvment: reduce the fracture by extending and pronating the metacarpal with longitudinal traction and downward pressure applied to the metacarpal base. 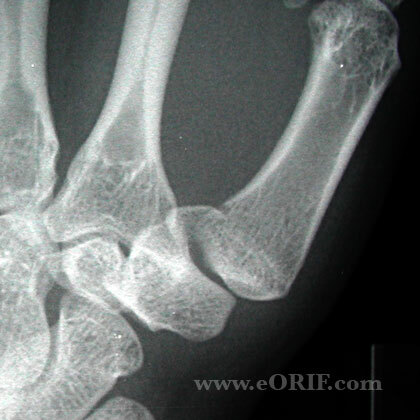 Drill K-wire obliquely across the thumb trapeziometacarpal joint while the the fracture. 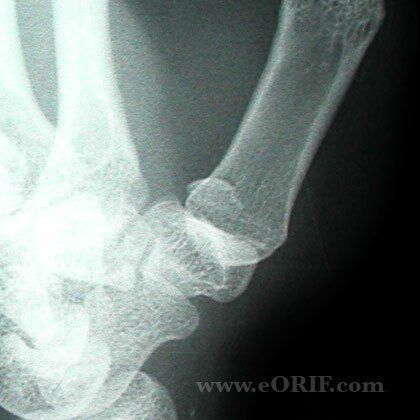 Wagner incision between the abductor pollicis longus and the thenar muscles, extended proximally and radially to the radial border of the flexor carpi radialis. Reflect thenar muscles subperiosteally, incise joint capsule. Debride hematoma from Fracture site. 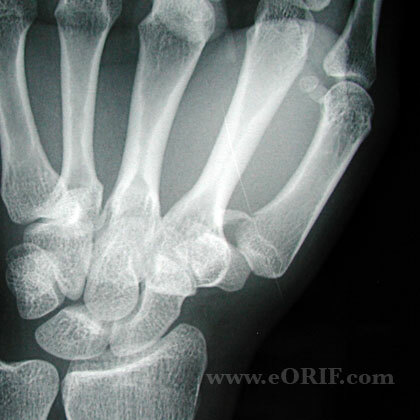 Reduce Fracture. Fix with 2.0- or 2.7-mm lag screw. 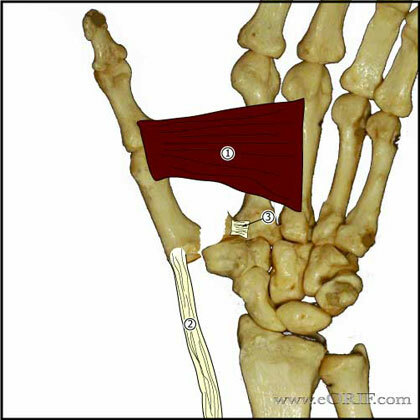 Place in Thumb spica splint.